The Hilda Mining Company in cooperation with the government of Rosetta Prime offers a way to buy out prisoners sentenced to death for political reasons. The relatives are allowed to contract with the Hilda Mining Company to work as a Z.O.H.R.N (Zlug Obsadon Harvester Remote Navigator) on the planet Rosetta Z to harvest and sell the most valuable resource in the solar system, the Obsadon. Obsadon is an incredible source of energy, the whole industry on Rosetta Prime is based on the power of Obsadon. Without the Obsadon, the economy would collapse and Rosetta Prime would end up in chaos. Obsadon does only exists on the Planet Rosetta Z, where the giant Zlugs live. They gnaw the live essence from the planet and concentrate it as Obsadon in their tremendous bodies. The brother of the main character has been imprisoned for demonstrating, by fighting for free speech, he lost his freedom and is loosing probably his life as well. The main character commits to the contract with the Hilda Mining Company, knowing that the chance to set the brother free is very little, many credits are needed to complete the contract. By signing the contract, the main character turns into a Z.O.H.R.N. The giant Zlugs are harvested by the Z.O.H.D, the Zlug Obsadon Harvester Drone, using the neural interface of the Z.O.H.T, the Zlug Obsadon Harvester Terminal operated by the Z.O.H.R.N. The Z.O.H.D is hunting the giant Zlugs, fencing them with five electrifying poles to roast them and extract the Obsadon. The harvesting unit is Obsadon Weight [kobs], setting a very dense fence will give more Obsadon. By using the upgrades, the harvesting is more efficient. Some Zlugs can only be harvested using special items, like the Black Zlugs must be blocked with a Hypno-Trap. Aggressive Zlugs like the Highlander and Lava Zlugs give more Obsadon. 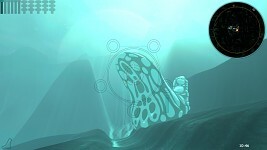 During the game, the main character receives desperate messages from the imprisoned brother, so the main character will also spend credits to keep him alive. 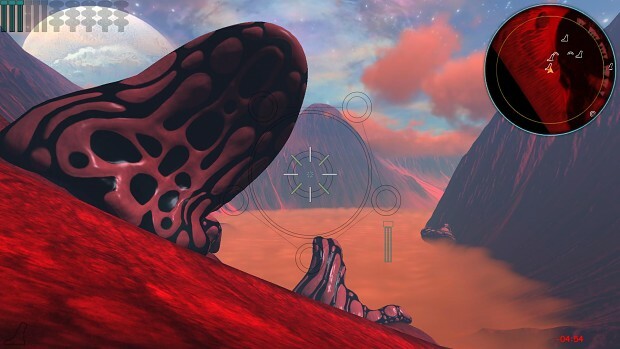 Hunting Giant Zlugs in a psychedelic environment as a FPS with a super fast and agile drone. No bloody commander telling you at the next corner what you have to do. Improve the attack of the Albino Zliders. Let them stick on the drone causing damage to the camera, over/understeer, spin, loosing poles and obsadon. They will change direction when pointing with the laser at them. Use electro-shock-grenades from the store or jump into a toxic fungus/lake to get rid of them. Shrek-Thumper (to scare them away), Hypno-Traps, Roaster-Mines, etc. See Zohrn.com and check the backlog section for the full list of stuff that will be implemented in the next months. Z.O.H.R.N. is in its pre-beta phase, that means it is still under development. 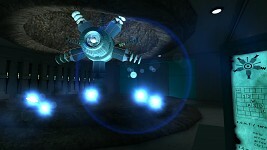 A tech demo version with seven fields for Windows, OSX and Linux is available and shows the basic harvesting of the Obsadon. The game design will receive some major improvements based on the feedback by many gamers and testers. Free full beta versions in a rolling mode will be available until it’s polished enough for the online stores. I expect this in fall 2013. Stay up-to-date with the development progress of the game, any feedback and contribution is welcome. Visit Zohrn.com to download the current Tech Demo. Z.O.H.R.N is an ¡EvilBad¡ Games production. ¡EvilBad¡ Games is a (one-person) Swiss indie game label. Tech Demo 0.9.3 for Windows, OSX and Linux published. Important: The store system and the background story are under development. In the up-coming store the player can buy items to upgrade and repair the drone, fuel, food, etc.